Make sure the driveway, walkways and porch on your house are safe and free from snow and ice. Be sure to shovel your deck and patio so buyers can walk out and imagine enjoying them in warmer times. 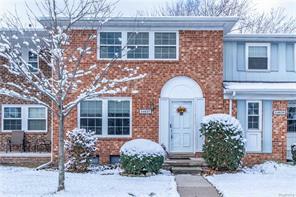 For more information on Olde Orchard, or similar Northville or Novi neighborhoods such as Country Place, Crosswinds West and Lakewoode Parkhomes, contact The DiMora Team today at 248-505-7728 or jim@dimora.com.